"Visionary Medicine correlates the information from the Cayce readings with modern scientific findings as does no other book in existence today… I could not put the book down once I began reading it!" "I found the book to be extremely interesting, comprehensive, well written, and well documented. It is a MUST read for anyone considering alternative approaches to healing, particularly those espoused by Edgar Cayce, a man many rightly regard as the father of modern holistic medicine." "Some of the best researched, accurate, and sensible info about Cayce." 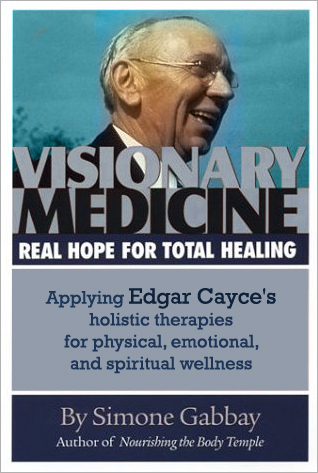 Edgar Cayce's amazing natural therapies have brought health and healing to thousands of people around the world, many of whom had failed to find help from orthodox medicine. What are these healing secrets, and how can you benefit from them today? Discover how you can use your mind to create health instead of illness. Learn about the dangers of pharmaceutical drugs and the high cost of unnecessary medical procedures. Find out why good nutrition is your first defense against degenerative disease and premature aging. Explore how exercise, chiropractic, massage, and hydrotherapy can help you achieve optimal energy levels and greater well-being.